Albutt Grainpusher. 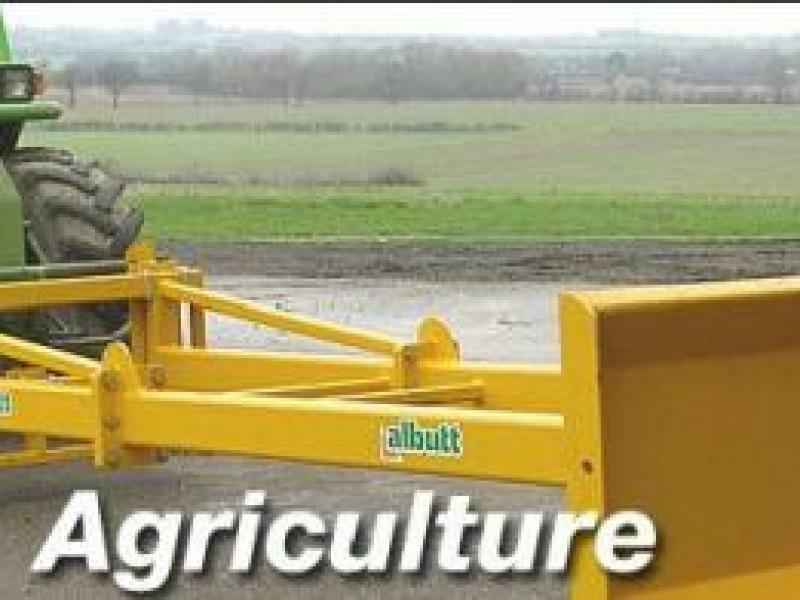 Grain dozers for use with telehandlers, load-ers and shovel loaders. Come complete with quick release brackets to suit your machine. Heavy duty design with round and smooth sur-faces to prevent grain trapping. Modular de-sign, all sizes can be ex-tended by 1.0 metres. We offer an optional plastic wear strip for floor protection. 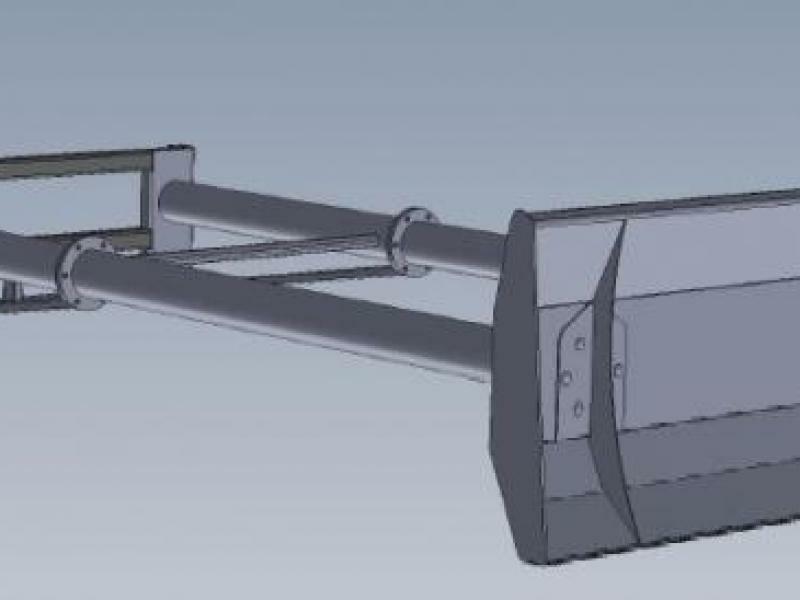 New design - Bigger blade - 2.32m wide. 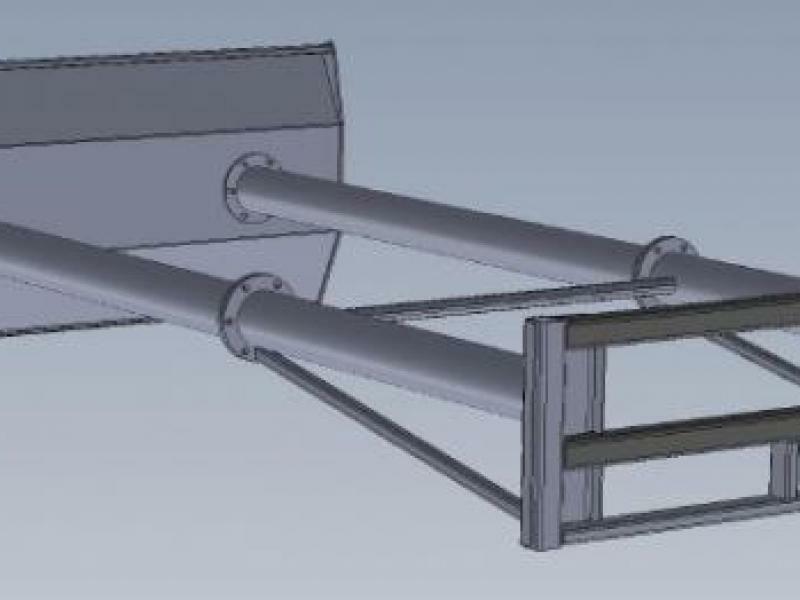 Heavy duty tubular construction - without grain traps. 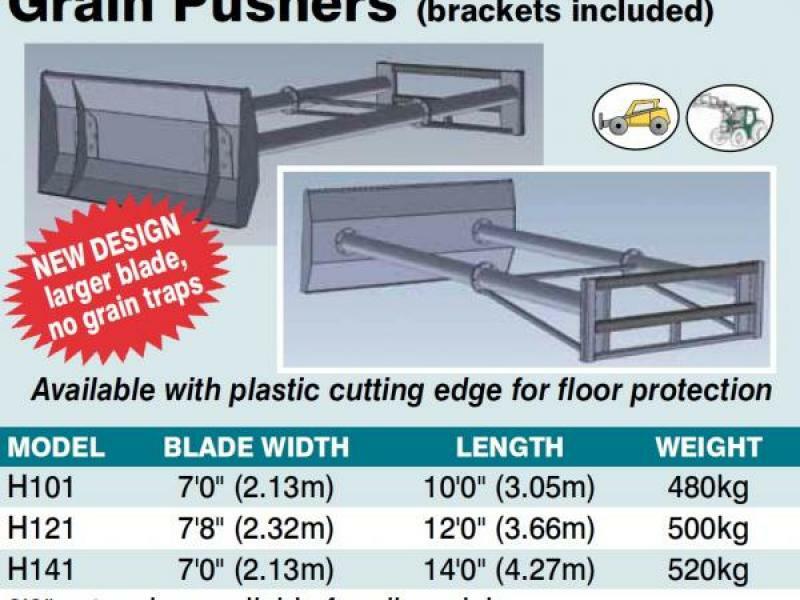 Telehandler/Loader Brackets included, Heavy duty design using 170mm x 8mm tube, Modular design, Can be extended by 3'0", Complete with brackets, Optional plastic cutting edge, Smooth rounded surfaces prevent grain retention and grain spillage.